Hello, I am a huge fan of sport cars, especially modified racing cars. 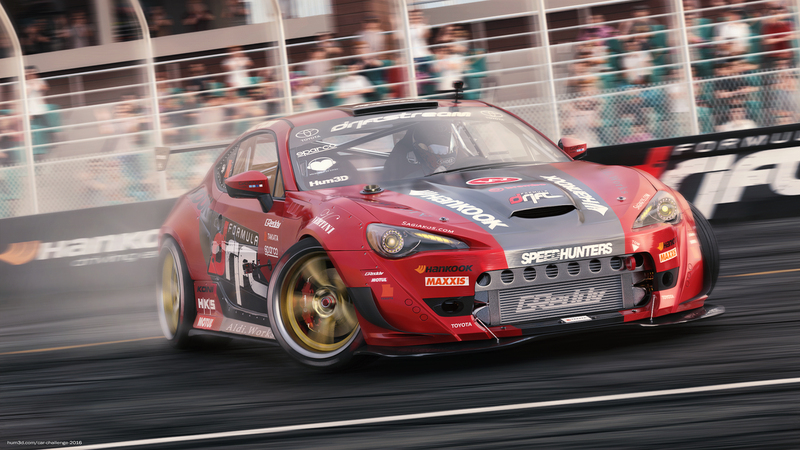 This challenge gave me the chance to share with you my perspective of Toyota GT86 Formula Drift car. 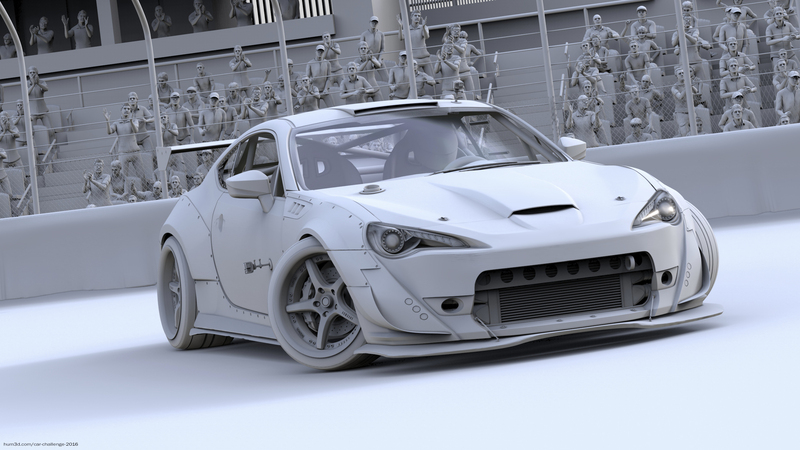 I have made quite researches for Formula Drift cars, I have also been inspired by SpeedHunters and the Tokyo Drift Movie cars. The story is simple: Formula Drift Pro Championship season is about to end and the Toyota Team have win the audience respect as they are first in standings. Nothing to say except … woaw ! Awsome, Would love to know how you handled the Motion Blur. I add the motion blur in photoshop. I render three layers of depth and I make for each layer a different motion blur setting.